At times referred to as artificial or fake grass, synthetic turf is becoming very trendy. The landscape around your pool must be safe, convenient and attractive. Synthetic turf is less problematic than cement or real grass when placed around your pool. It’s a great feeling relaxing around your pool while sinking your feet into the soft grass. We reached out to Ernest from Synthetic Turf Dallas to briefly describe some of the benefits of synthetic turf around your pool area. If chlorine water splashes onto the real grass, it gets discolored and produces ugly brown patches. Real grass can also be affected by foot traffic around the pool. Synthetic turf is immune to movement around the pool or chemical spills. This means you are guaranteed a lush, green landscape all year round. It’s better to have softer artificial grass as a landing area than hard concrete. This provides cushioning in case someone trips and falls. Artificial turf drains water 25 times faster than regular grass. Water spills will thus dry faster when exposed to sunlight. Wet concrete is very slippery and you can easily slip when walking on wet concrete slopes. Pools surrounded by real grass require regular trimming using a lawn mower. To maintain the lush green appearance of the landscape, fertilizers and chemicals are added to. The chemical nutrients might find their way into the pool water or onto your skin. Grass clippings might find their way into the pool which translates into more time spent on clean up. When it comes to fake grass the bulk of the work comes during installation. Artificial grass prevents swimming pool owners from worrying about mud spills around the pool. During pool parties, splashing water might go beyond your concrete perimeter creating a situation where muddy water fills the yard. If you have pets or young children, they can easily drag this mud into your patio or carpet as they play. With synthetic grass around, this problem is easily alleviated. If you take the time to compare and contrast the best swimming pool surrounding landscapes, artificial grass emerges on top. Safety should always be the main priority of any developer, and it outperforms the other alternatives. Whatever the season, it remains beautiful all year round, unlike real grass that requires frequent maintenance. Installing synthetic grass might be costly at the beginning. However, this is nothing compared to the long term savings on time and money that you would spend on doing weekend cleanups. 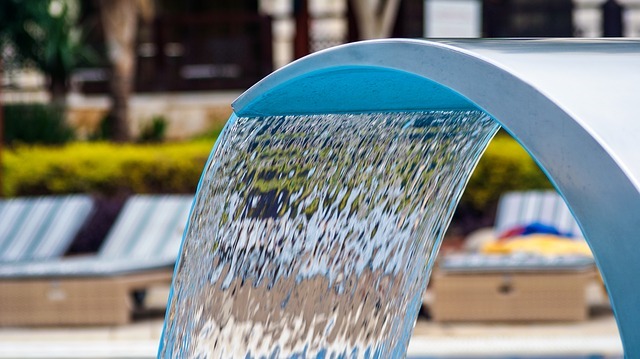 The installation process is quite simple and can be done around any poolside surface without any need for glue or nails. Once installed it can last for an impressive 15 to 20 years. When landscaping your pool area avoid placing fruit trees as the foliage drops are messy. Fruit trees are also a prime spot for honey bees. Flowers seem like a great addition to the landscape but they attract a lot of insects and have a tenacious root networks. We hope you have enjoyed this article. Please reach out to us with any questions or contact our friends that actually supply artificial grass lawns in Dallas.